The COPAC Technical Working Group on Cooperative Statistics convened its first meeting at ILO Headquarters in Geneva on 11-12 May 2017. The main purpose of the TWG meeting was to discuss a proposed conceptual framework for measuring cooperatives, and to suggest steps towards its practical implementation at the country level. The framework, developed by Professor Marie J. Bouchard and her team from the Université de Québec à Montréal, reviews the most important statistical studies on cooperatives, analyses concepts and methodologies for identifying and classifying cooperatives, and propose options for defining and classifying cooperatives for statistical purposes. Over the two days, the discussion focussed on, among other topics, the operational definition of cooperatives, work in cooperatives, membership, value-added, and planning for further activities, particularly by bringing in perspectives of more producers and users. The Technical Working Group supports a multi-stakeholder initiative to improve the quality of statistics on cooperatives, including by working towards a harmonised conceptual framework, definition, and methodology for generating comparable statistics on cooperatives. The meeting brought together COPAC members and over twenty producers and users of statistics on cooperatives from around the world. 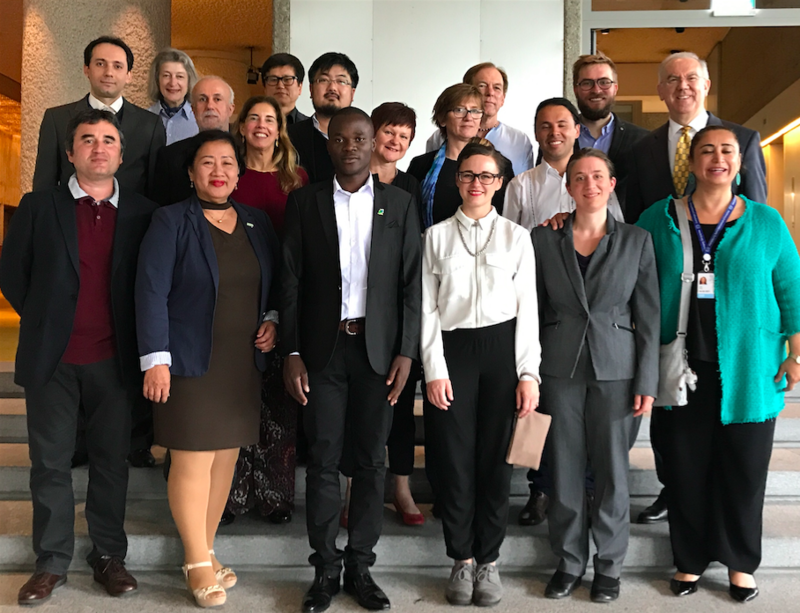 Among the participants were representatives of national statistical offices from the Republic of Korea and Iran, as well as other producers and users of cooperative statistics from Tanzania, the Philippines, Italy, France, Costa Rica, Canada, and the USA. COPAC is working to prepare its contributions to the discussion on cooperative statistics at the 20th International Conference of Labour Statisticians (ICLS), which will take place in October 2018. The ICLS in 2013 adopted a Resolution concerning further work on statistics of cooperatives, calling for further development work in this field, particularly because cooperatives are often poorly represented in national statistics. As a follow-up to this Resolution, the 2018 session of ICLS will discuss the issue of statistics on cooperatives in detail for the first time in its history. The guidelines that will be presented to the ICLS will focus on collecting reliable and comparable statistics on cooperatives, in order to shed light on the contributions of cooperatives to employment and economies across the world. COPAC and its working group will provide technical contributions. For more information, download the meeting agenda and the meeting report. You can also download the presentations of Mustafa Hakki Ozel and Chiara Carini. You can also learn more at ILO COOP’s site for statistics on cooperatives.